This sterling silver ring combines a variety of fine jewelry techniques. The shank is forged to fit size 8 finger. 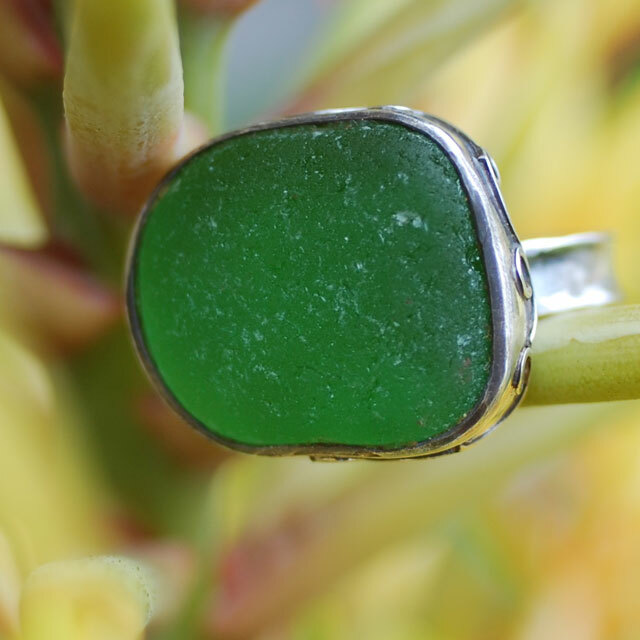 Then, there is wavy overlay fused onto a cup bezel that contains one luminous green piece of sea glass. See back and side views of the ring. Approximate dimensions of the sea glass piece are .75x.5 inches. The ring has been given an antique patina, and is ready for shipping.